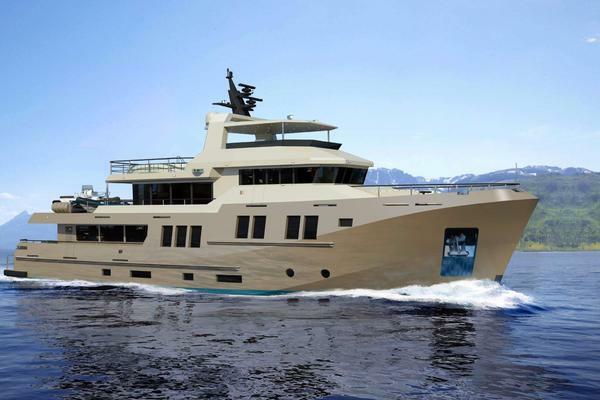 New construction, 122' x 31', high endurance expedition yacht from CITADEL YACHTS. Steel hull with bulbous bow, thrusters, and full propeller and rudder protection. 5086-h116 aluminum superstructure. Reliable mechanical and electrical systems design with redundancy and serviceability. ABS Classification, Maltese Cross A1 AMS and MCA LY2 Code compliance available. Exceptional engineering, quality and finish from this emerging and well funded U.S. yacht builder is demonstrated in previous builds MISS LISA and POLAR BEAR.